The Manitoba Baseball Hall of Fame selects and recognizes outstanding Manitoba athletes, coaches, officials, builders, and teams. 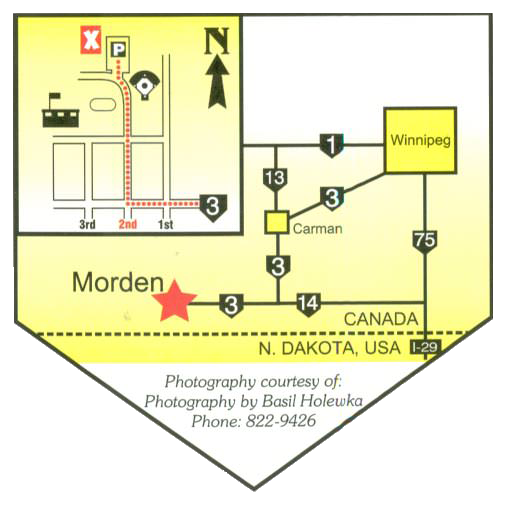 We also collect, present and display memorabilia related to the history of baseball in Manitoba. Part of that display is our new interactive computer. We publish a newsletter about the Hall of Fame Museum, also arrange Induction Ceremony each June. Join us in a “Reconstructed Hall of Fame Radio Broadcast” featuring All-stars from the past showing their “stuff”. 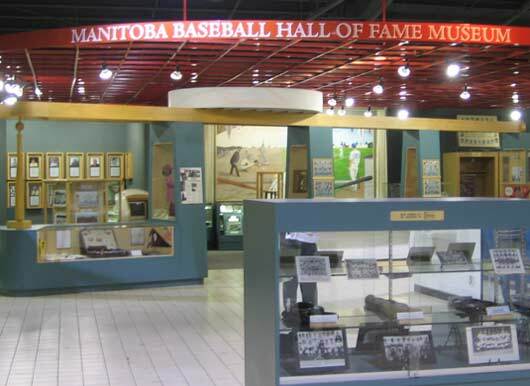 The Manitoba Baseball Hall of Fame always invites donations of any form, either cash or in memorabilia.